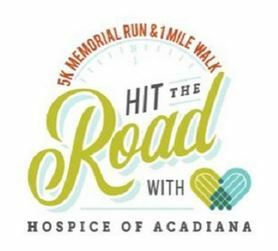 Join Hospice of Acadiana for the inaugural “Hit the Road with Hospice of Acadiana 5K Memorial Run/1 Mile Walk” on March 30, 2019 at 8:00 am. Each registration includes a t-shirt and memorial sign with your loved one’s name to be displayed publicly in front of the Hospice of Acadiana office on Johnston St. The day will be about remembering a loved one you’ve lost, so feel free to make signs or shirts in honor of that person. We will have memorial events after the run as well as a band, food and drinks for race participants. We will also kick off Hospice of Acadiana’s annual raffle and unveil this year’s prizes during the Finish Line Festival, so plan to purchase a ticket after the race if you would like. Hospice of Acadiana and Cajun Road Runners club have partnered together to provide a 5K Training Program and to host a couple of group runs before the race. Please contact us for more information by emailing the Race Director, Fawn Hernandez, at fmviator@gmail.com. For more information on the event or Hospice of Acadiana please visit their Facebook page or website!